Through a critical-ecological lens, this book examines how to prepare preservice teachers to be resourceful and responsive practitioners in addressing the intellectual needs of children often labeled as "culturally and linguistically diverse." 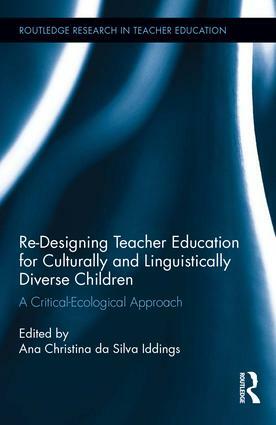 It explores a comprehensive re-design of a teacher education program grounded in research on the complex factors that affect the teaching and learning of linguistically and culturally diverse children. Re-Designing Teacher Education for Culturally and Linguistically Diverse Students challenges hegemonic cultural and linguistic norms, quantitative and static views of "resources," the impact of U.S. education policy, and the limited attention to the agency, identities, and strategic actions of diverse students and their families. Ana Christina da Silva Iddings is Professor of Language, Literacy, and Culture—Early Childhood at the University of Arizona, USA.